Is it Important for Your Website to have a Blog? Are blogs still valuable? Does your e-commerce or lead generation website really need to put all that time and effort into keeping a blog updated? Let’s look at how blogging adds value to your online presence in the first place. After that, we’ll talk about the different types of conversions and how to leverage your blog for more of them. The term “blog” has been around for a long time, and many people have just assimilated it into their vocabulary. It’s actually a shortened word for “web-log”, which more accurately describes its function and format. Blogging started out as a sort of digital, online diary tool for people to record their daily activity, thoughts, experiences, ideas, etc. As bloggers gained experience, it naturally evolved into a standard method of writing about specific topics (such as recipes, car repair, books, politics, etc). Today, it’s one of the most common types of content on the internet. How does having a blog add value to your website? First off, let’s clarify something. Blogs are not articles, but blogs are typically composed of articles. As we use the word here, a “blog” is a page on your website that’s made up of regularly updated content arranged chronologically. You don’t write a blog. You write an article or otherwise create content and that is posted to your blog. 1. Your blog provides SEO benefits. Search engines love blogs because new content appears regularly. That content helps define your web presence. It tells the ever-hungry knowledge machines what you’re about and the types of problems you can solve for searchers. There was a time when “blackhat SEO” practitioners used blog content to pull undeserved traffic. Given advances in search technology, though, those days are all but over. You have a legitimate business, so you should display legitimate content. Every time you update your blog, you’re sending out another message to Google, Bing, and the others: “Hey, listen up, we have something to say here.”The more articles you’ve published along a certain topic, and the more people read, comment on, and share those articles, the more clout you will have in organic search. Blogs are, in effect, price-effective ways to advertise your capabilities. 2. Your blog can help you gain positioning as an authority in your industry. Seth Godin is a known authority in the world of marketing. According to SEMrush, his blog draws almost 23K visits per month from search engine traffic alone, and 3.2K other websites link back to sethgodin.com. Is Seth an authority because of his blog? Yes and no. Seth is also a prolific book author and speaker. His blog, though, is a big part of the recipe. Seth uses multiple channels to get his name in front of people. He stays focused on his niche, and he positions himself as a thought leader.Could Seth have become as popular without a blog? It’s doubtful. Seth Godin blogs daily, and he stays on target. 3. 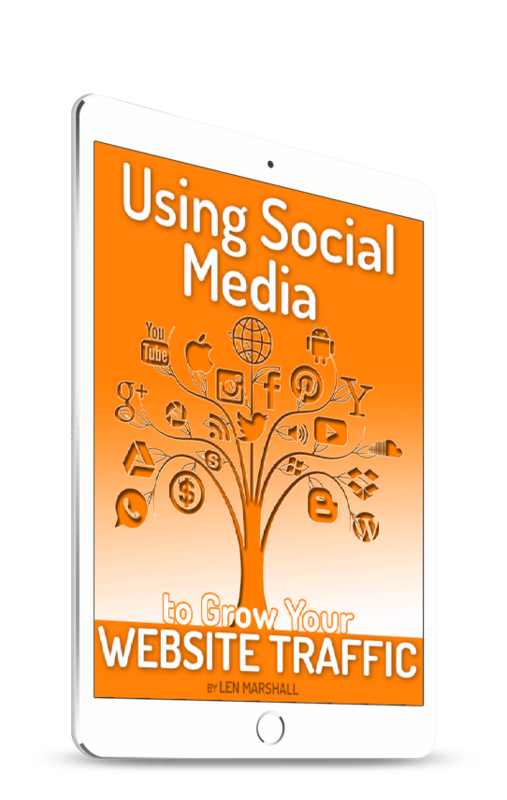 Your blog draws traffic to your website. This works in tandem with #1. The more often you’re found by online searchers, the more visitors you stand to receive. Keep your blog traffic coming back! 4. Your blog works for you around the clock. Every piece of content you publish on your blog will continue to work for you as long as the website remains online. Most advertising methods are good for a certain period of time, then you have to pay again. Not so with your blog. You own the work and you get to reap the benefits ad infinitum. 5. Your blog helps build your brand. By positioning yourself as an authority, by staying on topic and posting information that draws the audience you seek, and by building SEO benefits and pushing your website higher on the search engine results page (SERP), you’re strengthening the power of your brand. Never treat your blog as a separate part of your business; it is integral to your business. Those are probably the top five reasons you’ll hear from any chief marketing officer concerning why the company chooses to maintain a blog. But there’s one reason more important than all of those. It’s something so obvious and simple it’s easy to overlook: converting blog readers into customers. If you ask whether or not blogs are valuable, go over the five advantages listed above. The biggest reason of all: your blog can deliver conversions and every source you have for conversions should be looked at from an ROI perspective. The answer to the question is a matter of math. If your blog can deliver sufficient return on your investment to make it worth the expense, then it could be a good idea. If your blog can deliver excellent ROI, it’s a great idea. Once you fully grasp the significance of looking at your blog as another tool to drive conversions, you’ll never see it in the same way again. Blogs aren’t for showing off your writing ability. They’re not for proving your superiority over the competition. Blogs are for conversions. Period. And if thought of in that context, then yes, they are most certainly still important.